About a month ago I started hosting a weekly radio show on Indiana University Kokomo’s internet station, Radio Free Kokomo. I’ve been featuring the best unsigned/independent/underground local and regional rock and metal from Indiana and the surrounding states. What started as an hour long show with just over a dozen bands quickly became a 2 hour show with over 80 bands on the roster, and more submit everyday. 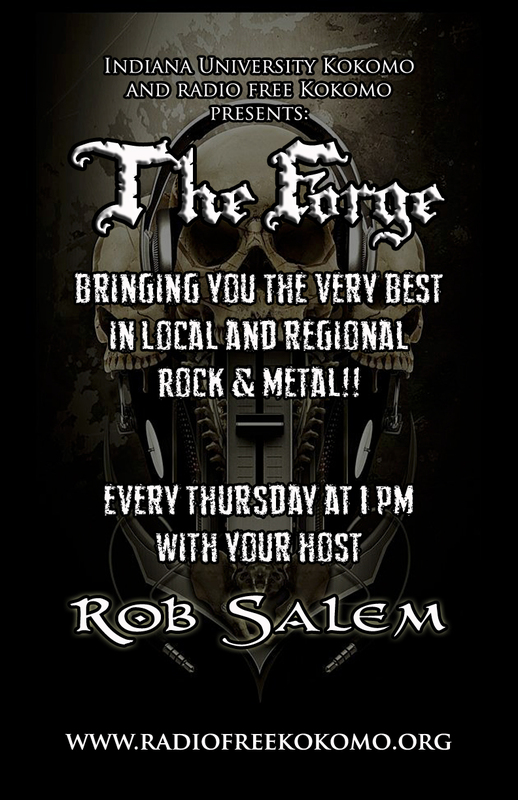 You can listen to The Forge for free at radiofreekokomo.org, airing every Thursday at 1PM EST. as I stared into sapphire skies. before I’m ever even gone. every day away one day closer to you.